Conveniently located between San Francisco, Daly City, and the South Bay, Pacific View Apartments is tucked away in the lush green hills of Pacifica. 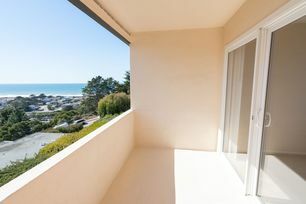 Most units have a spectacular panoramic view of the sparkling Pacific Ocean and the colorful, rolling hills of Pacifica. Pacific View Apartments is a small, quaint seaside community. 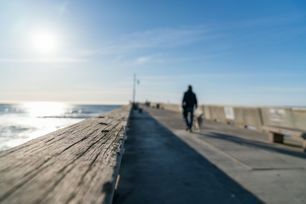 If you work in the fast-paced city or are studying full time, Pacific View Apartments is the perfect place to come home to relax, enjoy the sweet, salty, ocean breeze. Each unit comes with an assigned gated subterranean garage parking space. Pacific View also offers on-site laundry in our newly remodeled laundry rooms. It is only a 5 minute drive to the beach! Minutes away from BART and CALTRAIN! 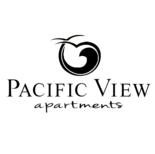 If you are looking for a home to get away from the business of the city, and no parking, your new home awaits you here at Pacific View Apartments in beautiful Pacifica!